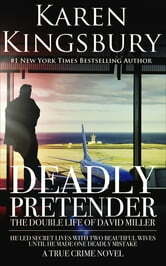 A New York Times–bestselling author and former Los Angeles Timesreporter’s account of a con artist and bigamist who resorts to murder to hide his double life. David Miller had a dream job and a beautiful family. But one perfect life wasn’t enough. So he pretended to be an attorney, then a CIA agent. And he secretly married another woman. He juggled it all quite well—until the day his two wives found out about each other. Miller groped for ways to hold on to his finances and reputation. But when he tried using a gun to silence his second wife, his carefully constructed facade of power and wealth exploded. 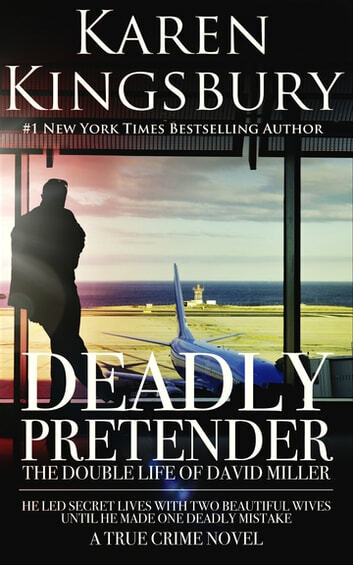 In Deadly Pretender, New York Times–bestselling author Karen Kingsbury dives into the tangled world of deceit, greed, and lust to reveal what drove a seemingly upright citizen to live a double life, and then, to commit the unthinkable.